Making your living room kid-friendly doesn’t mean that it can’t be stylish. We compiled these stylish ways to make your living room kid-friendly with the active family in mind. Your rambunctious kids can be free to play and be comfortable in your stylish living room without you having to go into a tailspin worrying about spills and all the other nitty-gritty things that come with having kids. Your living room doesn’t need to be confined to dark colour schemes to hide spills, our stylish ways will help you use different textures, furniture types, and decor elements to make your space kid-friendly. We definitely say to rug! A beautiful area rug in your living room ties your space together. This is especially on point when you have an open plan living room. Rugs help to define individual “rooms” within a space. To make your living room kid-friendly, durability is key. 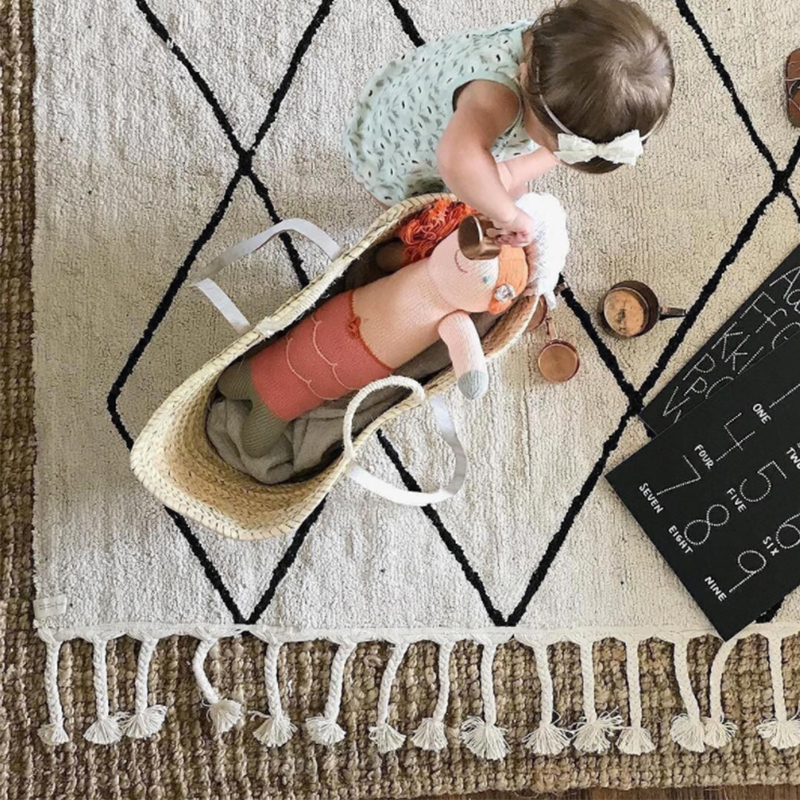 Durability doesn’t necessarily mean you will need to get a high-traffic rug meant for the outdoors, it simply means a rug that is easy to maintain. In your living room, you want comfort, so a rug that combines comfort and durability is the way to go. So when choosing the perfect rug, go for brands like Lorena Canals that are machine-washable and doesn’t hamper on style. Enhance the colour scheme of your living room with fabric or handwoven baskets. Use these to add personality to your living space and with so many uses, clutter will never be an issue. They encourage your little ones to put their toys away. Gone are the days of an overflow of knick-knacks, use these baskets to hide the ones that you don’t want the kids to break, making your living room kid-friendly. 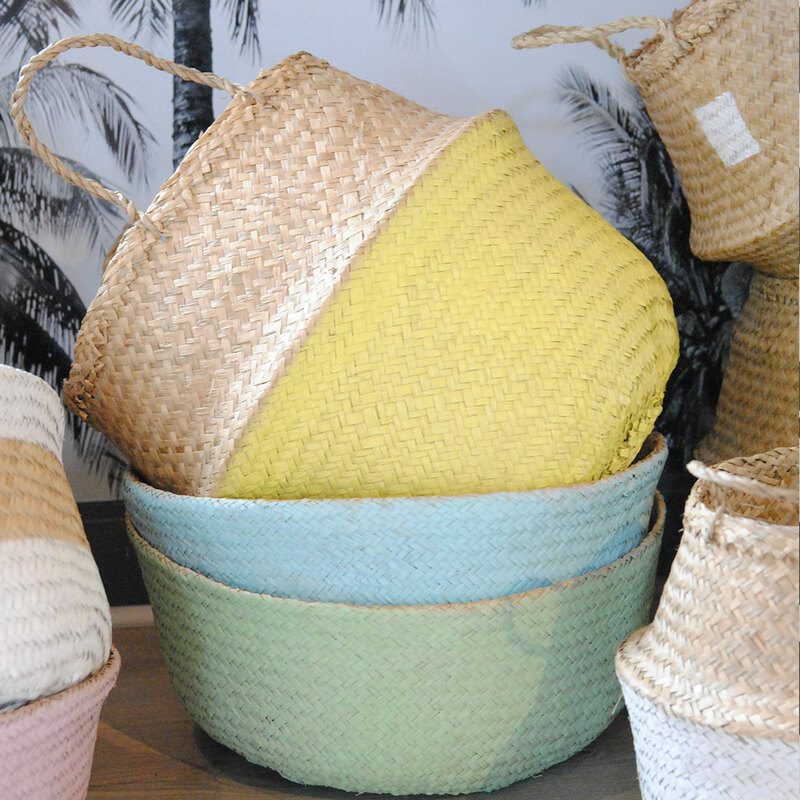 Baskets also help to punctuate the colour in your living room with natural texture. Belly baskets are ideal for this and on trend at the moment. Or alternatively look at Lorena Canals range of Leaf and Bubbly Baskets to add character to your living room as they are handmade from 100% cotton and available in a variety of neutral tones. Cozy up with blankets and pillows. Your living room should be a place where the family gathers to spend quality time together. Make sure to have cozy blankets and scatter pillows around that don’t take away from your style. 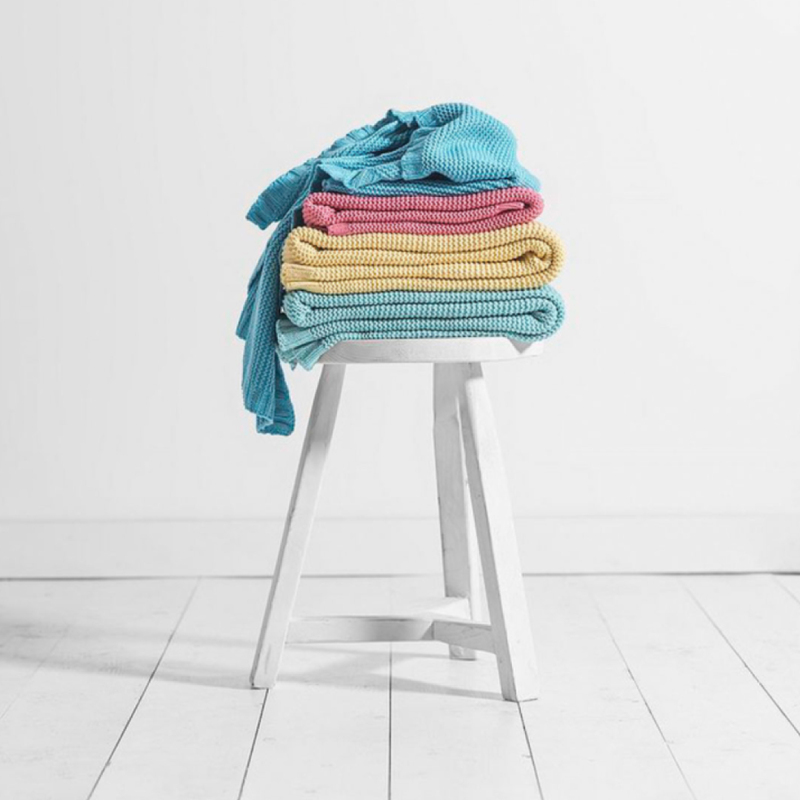 Go for blankets that are easy on the skin with neutral tones that can act as accent pieces to your living room, or bring in a pop of colour to brighten things up a bit. Hang it over the armrest of your couch so that it’s easy to grab when the kids want to snuggle up with a good movie. If you have dark upholstery, lighten it up with light scatter pillows that have been made with durable material. These elements in your living room make it kid-friendly and allow for everyone to bond in comfort. A good idea is cable blankets that are very soft and provide the comfort needed for a cozy night in. Or go for the uber style-centric with Hinterveldt’s Atmosphere Vapour Mohair Blanket. Reserve some space to play. Incorporate a stylish play area in your living room to encourage creative play. 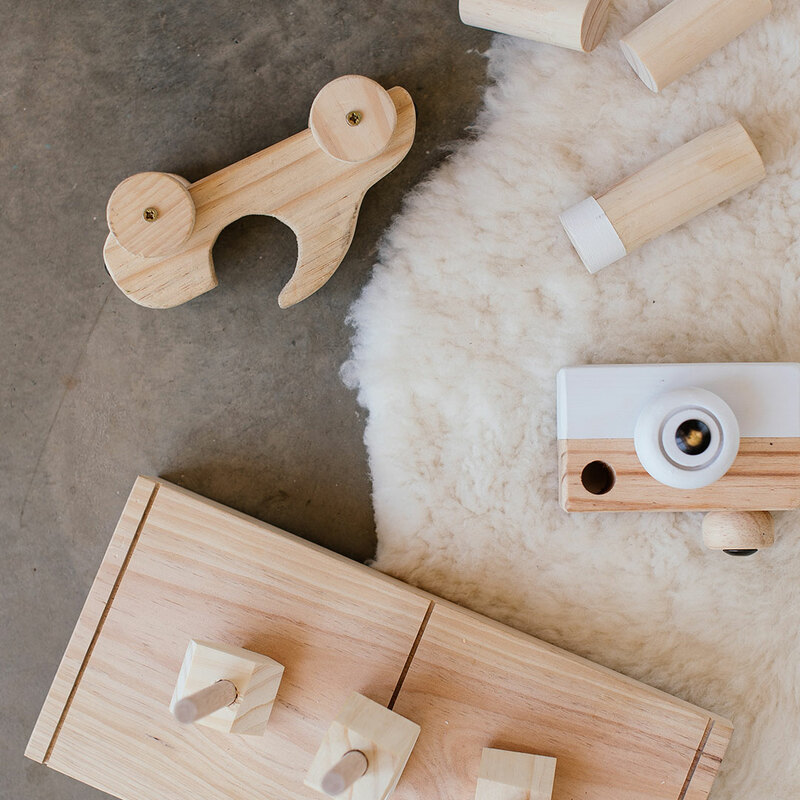 Bring in kid-friendly wooden toys into the space that are both educational, fun and easy to the eye. For playdates add a wooden kids table with kids chairs for their friends. This will bring your living room to life during the day for your kids to have fun and build memories. Beautiful kids wooden toys from the Mumu & Me range are ideally matched with the Ashton Children’s Table & Chairs. 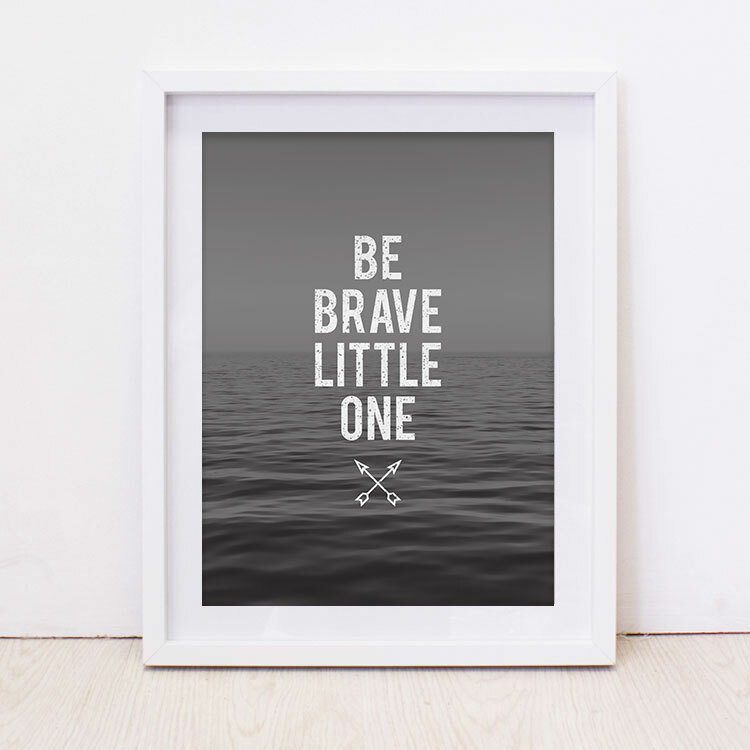 Adorn your living room walls with artwork that tie in memories of your family and loved ones or inspire creativity in your kids with stylish printed art. Another clever idea that is kid-friendly is to repurpose old trinkets around the house into wall art. This can be a nice little project to create special memories for the family and remove a bit of clutter from your home. For a playful touch, spell out a child’s name along with a family-friendly message using wooden game letters, then display them inside a shadow-box. For a selection of style-centric print art, click here. Why not send us your decorating questions or pictures of what you have done with your lounge?